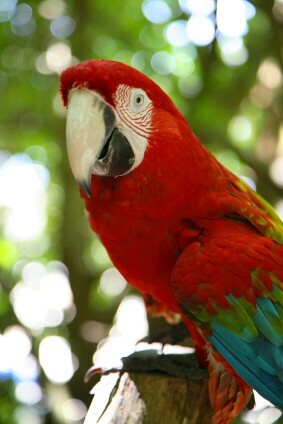 Jamaica wildlife consists of more than two hundred species of birds, including twenty-five endemic ones. With our national bird being the Doctor Bird, and the spectacular red-billed streamer-tailed hummingbird found only in Jamaica. Cockpit Country seen from the air seems to be a succession of wooded hills stretching mile after uninhabited mile that has remained unspoilt. Its inaccessibility and housing unusual properties makes it an important refuge for wildlife. There are sixteen species of amphibian and twenty-two species of reptile. The entire area is a protected natural reserve that is managed by the Jamaica Forestry Department. I hiked seven miles through this natural reserve and have seen many of these wildlife in their natural habitat and can say it was well worth the tour. You'll find the black-billed and yellow-billed parrots in the Cockpit country, an area that is a nature lovers paradise. Bats are numerous with about twenty-five varieties flying through the island belfries. Along the south and east coasts of Jamaica you'll find the manatee. Jamaica's wildlife is as varied as the landscape, with harmless yellow snakes and iguana to the pesky mongoose. To explore Jamaica Wildlife take a guided tour through Cockpit Country which is just an hour's drive from the north-coast, adding to your Jamaica reggae music vacation and your Jamaican cultural experience. 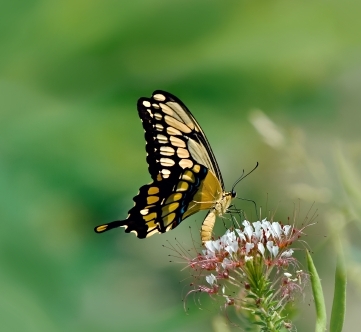 The Giant Swallowtail Butterfly is quite big and is almost easy to spot. It has a wingspan that extends up to six inches and besides its dark body, the natural blue and yellow spots make it easier to find. Since the area it is mostly seen in, has been declared a protected national reserve, it should come off the endangered list soon. The yellow Boa, also known as the Jamaican Boa, is a very large none poisonous snakes that reside in the island. It makes part of the Jamaican wildlife not only because it's none poisonous, but also because of its size. This snake is 8ft in length and a first time traveler to Jamaica will obviously find it interesting. To locate the yellow Boa, you might want to keep an open eye in trees and tight foliage since it has funny way of hiding in those places. Its favorite meal are rats. So visitor have nothing to fear as long as you avoid disturbing it. In an area known as the Great Morass, you'll find crocodiles. Located on the south coast of Jamaica within the tangled and dense mangroves you'll find the crocodile, a protected species, an area where they make their home. The Cockpit Country has hiking tours where you can explore our caves, see wildlife, exotic ferns, underground waterfalls, view fossils and rare formations. So plan your Jamaica reggae music vacation today.